The MindPlace Kasina borrows its name from a Pali term and corresponding mediation method, which incorporates visual objects into its process of calming and focusing the mind. 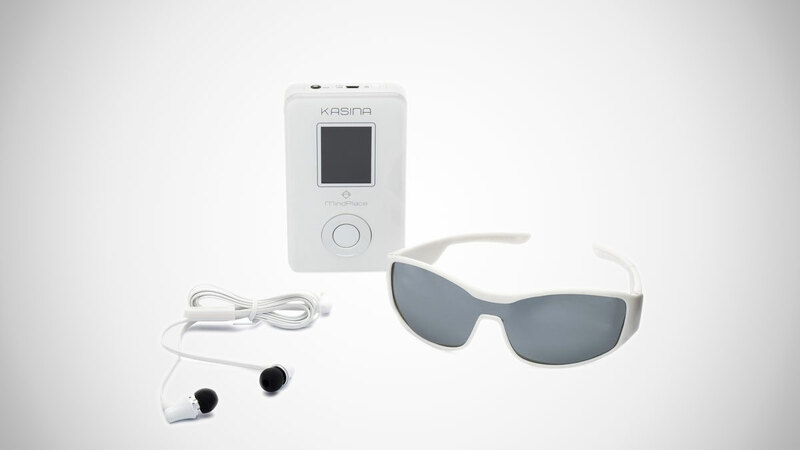 For its version of Kasina, MindPlace updates the method with 21st century technology, offering up a "Mind Media System" that combines MP3 or Wave audio with LED visual input to help achieve a variety a healthy mental states. 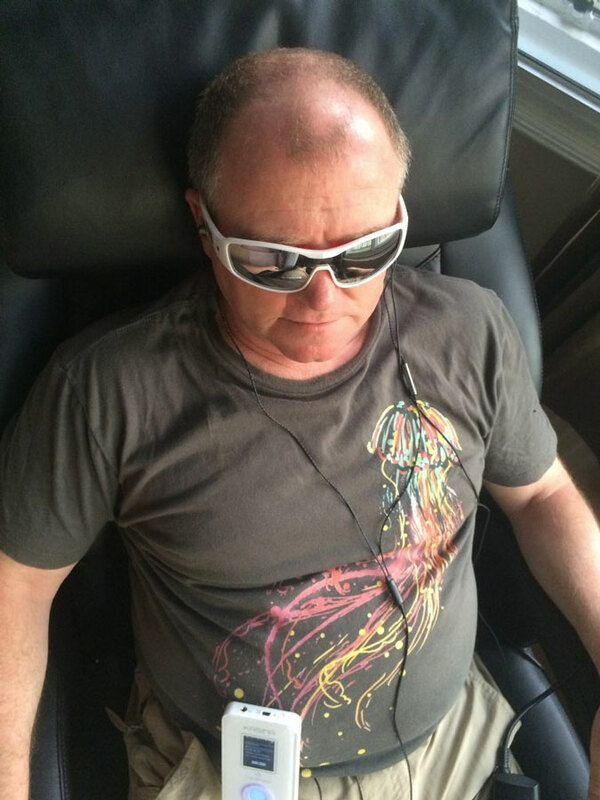 Accessing a deep, meditative state. Clearing your "Monkey Mind" of darting, nonstop thoughts. Finding better focus and attention. Breaking undesirable moods, such as anger or anxiety. Shifting moods / changing your mind. Accessing altered states of consciousness. Sitting back and chilling out to a psychedelic A/V show. The Kasina Mind Media System is plug-and-play out of the box, and in addition to MindPlace's built-in mediation sessions, you can create your own sessions, copying your own music onto the Kasina via an included 8GB microSD card. The Kasina tech pack has an AudioStrobe decoder with 16 different color-mapping presets to help turn your own music into the light show you'll see through the lenses of the Ganzframes. The glasses are fitted with 6 color LEDs per eye.